Roman Polanski's acclaimed 1974 crime drama has been slated for an April Blu-ray release! 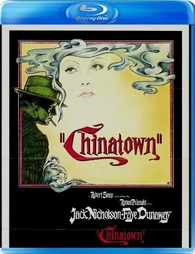 In an early announcement to retailers, Paramount has revealed 'Chinatown' will be released on Blu-ray on April 3. The murder mystery starring Jack Nicholson, Faye Dunaway, and John Huston was nominated for 11 Academy Awards including Best Director and Best Picture, but only won for Best Writing/Original Screenplay (Robert Towne). Specs and supplements have yet to be revealed, but suggested list price for the release is $26.98. You can find the latest specs for 'Chinatown' linked from our Blu-ray Release Schedule, where it's indexed under April 3.